We announce the upcoming start of Bonus 100% FX AirBag promotion and the closeout of the 30% deposit bonus offer. With effect from tomorrow, FBS doubles 30% bonus and gives you a unique opportunity to get a 100% bonus on your account, which will be applicable to trading positions maintenance! You will also be able to withdraw all the profit! Bonus funds can be granted to an unlimited amount of Unlimited accounts in clients ownership. 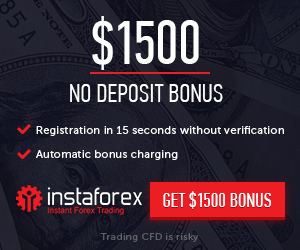 Bonus is provided to clients who deposited their accounts to 500$ and more. The biggest available bonus amount is 60 000 USD. Bonus funds are to be used in trading only and cannot be withdrawn from an account. In case any amount is withdrawn from a bonus account, bonus funds are cancelled in full extent. Nevertheless, the cancelled amount cannot exceed the amount remaining on clients account taking into consideration total loss and profit of the opened positions. In order to request bonus crediting, a client should have a trading account meeting the requirements and send a request to promo@fbs.com. The request should be sent from the e mail address under which clients Personal area containing the account where the client wants bonus funds to be added is registered. If a clients account reaches Stop Out level (or the remaining amount on clients account balance is 70$ and less), the client is eligible for getting another bonus to his next deposit. The amount of bonuses granted one by one in accordance with the present conditions is unlimited. Bonus can be granted only to those accounts that are not simultaneously participating in other promotions. The account where bonus is already granted cannot participate in other promotions of the company. Bonus funds remain in full ownership of FBS and can be written off from clients account at companys discretion anytime. The companys decision is peremptory. Should any violation or an attempt to violate the present promotion or any other companys promotion conditions by the client be detected or noticed, the company reserves the right to decline clients request for bonus granting or write off the current bonus. As circumstances may require, FBS has the right to: (a) detain, cancel or deduct from clients account or several accounts Bonus 60% FX AirBag; (b) freeze clients access to the companys services or dissolve the present services provision agreement (Customer Agreement); (c) block clients account (except for the cases when the permission of external regulatory agency is required) and transfer the remaining funds from account balance directly to the client (excluding welcome bonus 5$ and any other additional bonuses if applicable). If FBS has any grounds to suppose the client abused any promotion conditions by applying internal hedging strategy (with the help of other accounts opened at FBS), the company reserves the right with no prior notification immediately deduct Bonus 60% FX AirBag (and all extra bonuses if applicable) from clients trading account (accounts) or from hedged accounts. FBS is entitled to alter and cancel any of the present promotion conditions in its sole discretion or bring any of them to an end.